Join the EdTech Master Program Next Year ! The EdTech Master Program aims at training creative and talented students to become the future change-makers of education by providing them with a global and strategic understanding of the digital transformation in education and to help them to design relevant and impactful projects. 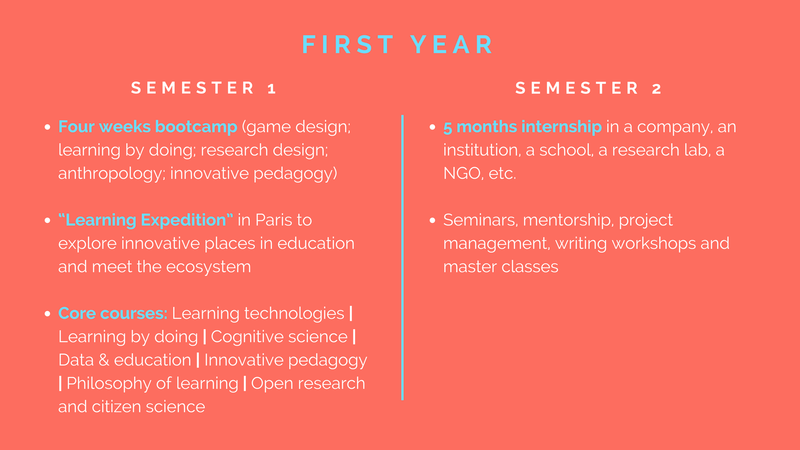 The program is built on interdisciplinarity, collaborative projects and challenge-based pedagogy and is coupled with the different “labs” of the CRI that support students projects and courses (Makerlab, Gamelab, VR Lab, Mobile lab, MOOC Factory, etc.). Internships have also an important place in the program. Finally, students are also free to engage in various collaborative projects conducted in the “labs” of CRI and to launch their own projects. Their involvement is valorized in the curriculum. This Master is the first university program dedicated to this promising global new field in France. 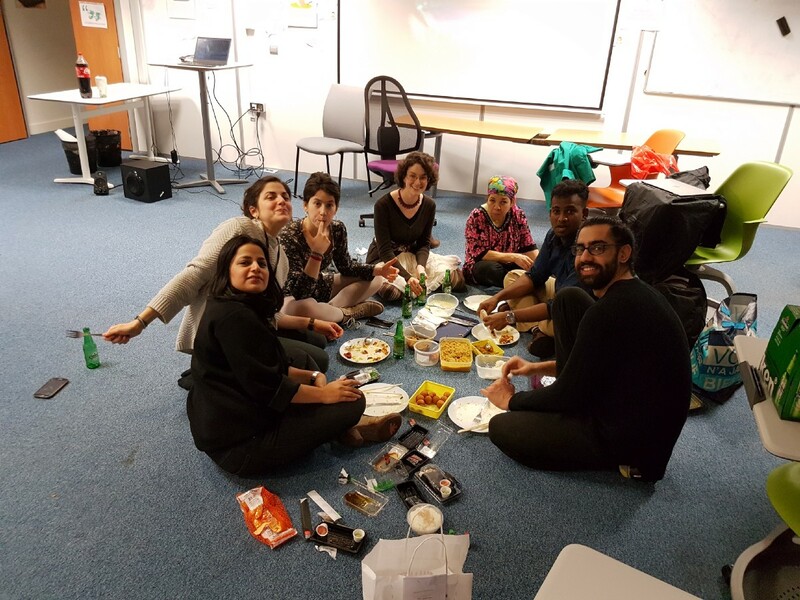 We believe that in parallel with the digital and environmental transitions, there is a “learning transition” which transform our ways to learn, teach, conduct research but also the way we work, manage and collaborate. This is not just about the transformation of the education system, this is about a systemic transformation of our society. The Education Technology Master Program (EdTech Master) is a 2 years Master’s degree recognized by the French State and the European L.M.D system. This Master is awarded by Paris Descartes and Paris Diderot universities and hosted at the Center for Research and Interdisciplinarity (CRI): an experimental campus that aims to promote educational techniques and strategies to empower students to take initiatives and develop their own projects. You can apply to the first or second year depending on your previous degree and on your professional projects. If you graduated from a first year of Master degree or equivalent, you can apply directly to the second year. 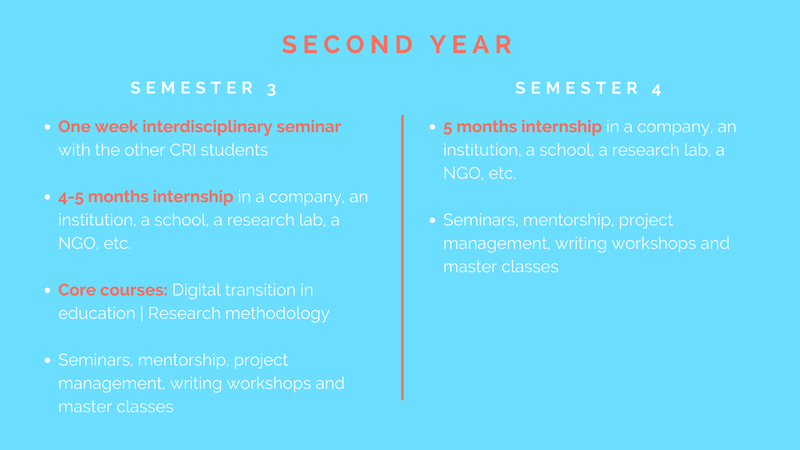 If you are in this situation but a bit frustrated not to follow the first year courses, you can decide to replace your internship (semester 3) by the M1 courses (semester 1). Please note that the program is also open for continuing education / executive training. Feel free to contact us if you have questions about this possibility. Is this training for you ? Each year we welcome about forty participants in the program: students are coming from all over the world and from very different backgrounds (education science, computer science, psychology, economy, design, medicine, humanities, biology, cognitive science, etc.). This diversity is an exceptional opportunity for students to discover the power of peer-to-peer teaching and learning. It also means that you don’t need any specific previous experience in IT or research to be eligible. No matter what is your previous academic or professional journey, we are looking for talented participants who wish to engage in the transformation of education in the learning society. We prepare our students to be the future change-makers of education. What does it means? We believe that the learning transition is transforming the present jobs in education but also creates new jobs in this field. These new jobs are inside the education system (e.g. fab manager in the university) but also “outside” of the system, at its margins, in the third places (public libraries, co-working spaces, etc. ), in the administration (e.g. chief digital officer) and in the companies (lifelong training and learning communities network are big challenges). Above all, there are many professions that do not exist yet or that are currently in progress. In one word: we prepare our students to be the ones who prepare and act for the world to come. Of course, we can still give you concrete job openings of this Master program: you can mainly become educational designer, editorial manager, or project manager in startups/large corporations/publishers/universities or schools/NGO, etc. ; but you can also create your own startup; you can take a teaching assignment or you can start a thesis and join a research laboratory.